The 22" (21.5"/54.6cm viewable) ViewSonic® TD2220-2 is a multi-touch Full HD LED backlit monitor with 1920x1080 resolution, DVI & VGA inputs and VESA mountable design. It has 20,000,000:1 MEGA Dynamic Contrast Ratio for sharp crisp images and Eco-mode for up to 40%* energy savings come standard in the new 22" (21.5"/54.6cm viewable) offering. Perfect for both commercial and consumer applications, the TD2220-2 supports the USB HID Touch driver and supports Windows® 8 and Windows® 10. 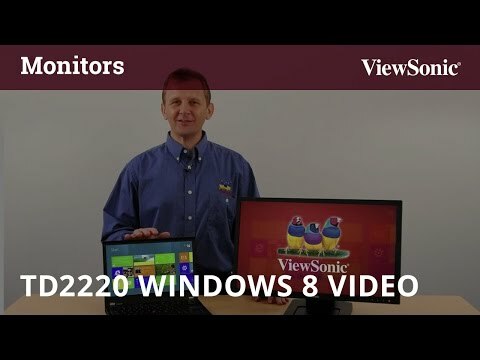 The TD2220-2 is a one-stop solution for your multi-touch monitor needs.